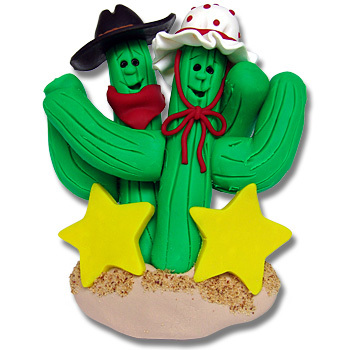 New from Deb's "Wild West Collection", this cactus family is just too cute. Available with 2, 3, 4 or 5 Cacti. Handmade from polymer clay and designed by Debi Allison. Comes complete with a hook and satin ribbon for hanging.